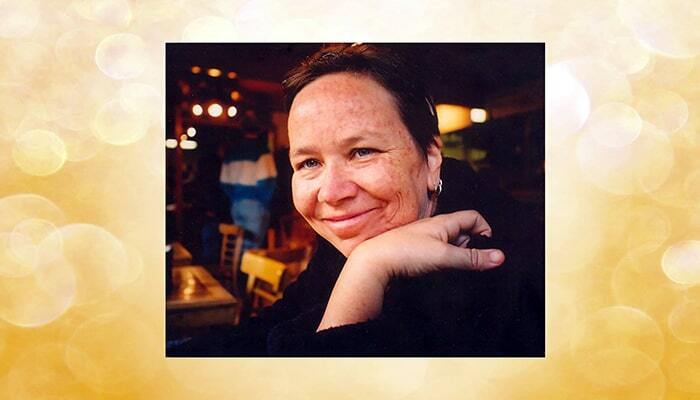 Lori Nairne, a homeopath, emergency room nurse, social justice activist, and adjunct instructor at Sacred Stream, was beloved by many in the community. She passed away in late August. In the falling light of an early November evening, many of Lori Nairne’s friends, students and colleagues gathered at the Sacred Stream Center to honor the life of a remarkable and wonderful person. The following is an excerpt from the homily I offered about her life, work and influence on those around her. We are all here today to mark the passing of a gifted and unique person. Lori had many facets to her and she had many communities that she was a part of. But one thing that was always consistent about Lori was her dedication to service and to healing. I remember when Lori told me that at age eight she knew she wanted to be an Army nurse. She did spend this lifetime tending to different types of soldiers. Her activist community, her healing community, and her spiritual community members, all advocates–if not warriors–for positive change in different ways, were beneficiaries of all the ways Lori offered her support and service to the world. Although she was service oriented, she was very much an individualist. She was a very independent spirit who held strongly to her principles. One of the places where these traits came together in a bold and blazing way was the way in which she chose to die. And yet, characteristically, the power of the choices she made about her own care, after having spent so many hours caring for others, were not fully evident until after her passing. In Lori, we have someone who faced down a myriad of the greatest fears any of us have. Lori is the truest physician I have ever known. She understood the processes of the body and she trusted the wisdom of the body. She deeply understood the connection between body, mind, and spirit. Many of us here have been healed deeply and fully thorough her understanding of the way that disease manifests on each level of being and how it affects all the other levels of being. Through her acuity, she was able to help each of us address all the different ways in which our own unique imbalances affected us. We have been healed in ways we would never have been healed without Lori’s deep and abiding loyalty to the life force within each of us. Lori would take her client’s cases to bed with her and ask for healing dreams that would provide her with the proper remedy or approach to any issue. One of her favorite things to do with a colleague was to sit down with a pot of tea and case and discuss the ins and outs of it to arrive at a more complete understanding of her patient. She was utterly dedicated to her art. All of us who have had the good fortune to have been treated or taught by Lori have received a gift. She has illuminated the light within each of us, and within thousands of others, through her doctoring and her teaching. She lived her life on her own terms, loyal to the last to what she knew to be right and good. I am in awe of her courage. I strive to attain her level of bravery and steeliness in the face of any force that would challenge the life force. And I dedicate myself to remaining her loyal student. To that end, I have some wonderful news. Corey Weinstein, one of the Bay Area’s most preeminent homeopaths, and a longtime friend and colleague of Lori’s, has agreed to offer a class on homeopathic home remedies and approaches to healing here at the Sacred Stream and as a distance learning course in February 2018.